DPD began life as Courier Express in 1970 and became Parceline in 1984. In 1985 Parceline was bought by an Australian company Mayne Nickless, before later being bought by La Poste and becoming part of the GeoPost group of companies. Known collectively as GeoPost UK, DPD UK, Interlink Express and Interlink Ireland are part of the GeoPost group, which is owned by the French group La Poste, the second largest postal group in Europe. GeoPost UK employs more than 7,000 people and has more than 5,000 customers and in excess of 2,000 vehicles. 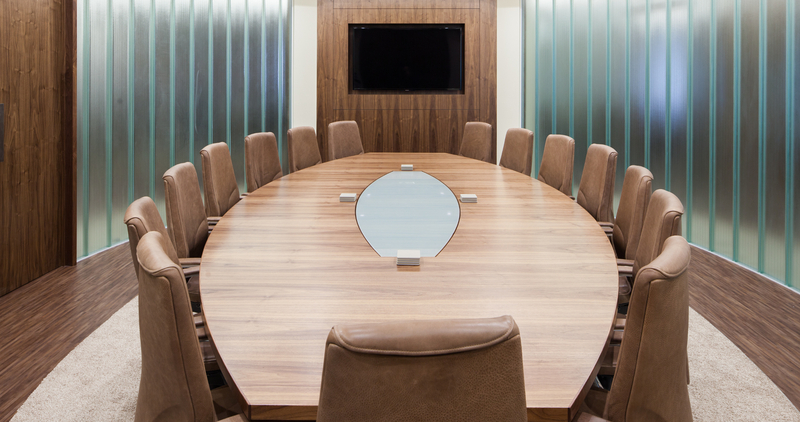 So when Chief Executive officer Dwain McDonald asked for our support in creating a new prestigious Directors suite for his management team in Birmingham we were only to happy to help. Having just moved into our amazing new offices I wanted to write to you, and all your team at Vibe, to personally thank you for doing such a fantastic job. The working space you have just created for us is a great reflection of our business and will be somewhere we are very proud to bring our visitors and staff. It also gives my management team and me the best office environment in the West Midlands if not the entire UK. I have thoroughly enjoyed the experience of working with Vibe and would recommend you without hesitation, I am also happy for you to show your prospective clients around our new offices, as they are definitely a real showcase. Finally thanks for looking after this project personally; it is the sort of attention to detail that makes all the difference. Our Brief was simple, to create a Directors suite, Boardroom, breakout spaces, washrooms and teapoint that reflected the occupants senior positions and would impress their visitors and clients. The not so simple element was that the proposed space wasn’t huge and needed to feel spacious. Vibe took the 7000sqft empty shell and core and transformed it installing mechanical and electrical systems, partitioning, feature ceilings, bespoke joinery, decoration, flooring, data, security, window blinds, washrooms and a tea point. The seamless project was handed over in just 8 weeks to a very happy client who was delighted with the outcome.